The Legislature cannot effectively serve the public if policy is being shaped based on outright falsehoods and misinformation, which is why it is illegal to knowingly submit false testimony before a legislative committee. Nevada Policy has alerted Legislative Counsel Bureau Director Rick Combs and the attorney general’s office to what appears to be a clear violation of NRS 218E.085(2) — the state law that makes it a crime to knowingly misrepresent any fact when testifying before a legislative committee. The false statements were made by lobbyist Marlene Lockard during the March 1, 2019 Senate Government Affairs Committee hearing on SB224 — the PERS secrecy bill. Ms. Lockard appeared on behalf of the Retired Public Employees of Nevada (RPEN), and was featured as part of Senator Julia Ratti’s formal presentation for Senate Bill 224. As part of this formal presentation, Ms. Lockard relied almost entirely on known falsehoods when explaining why the secrecy proposed by SB224 is ostensibly necessary. Specifically, Lockard told the committee that passing SB224 was necessary because of a recent court order that allegedly requires PERS to disclose its members’ passports, addresses of ex-spouses, birth certificates and other similarly invasive information. In reality, no such court order exists and none of that information is, nor has it ever been, public under Nevada law. Given the status bestowed upon her by Senator Ratti, Ms. Lockard’s demonstrably false comments were accorded extra weight. Indeed, the first time a member of the committee had a question about SB224, that question was posed to, and answered by, Ms. Lockard rather than the bill’s sponsor, Senator Ratti. More information about that hearing can be found here. Because the knowingly false statements were made specifically to justify the secrecy proposed by SB224, and were made by a paid lobbyist invited by the bill’s sponsor to help present the bill, they represent precisely the type of deception NRS 218E.085(2) was designed to prevent, according to NPRI Policy Director Robert Fellner. A copy of the complaint can be viewed by clicking here. Earlier this month, Cortez Masto pledged to hold up nominees for the U.S. Department of Energy until she received a commitment from Perry that no more plutonium would be shipped into the state and a time frame for when the half-metric ton that the Energy Department already shipped to a federal site roughly 100 miles northwest of Las Vegas last fall would be removed. Rick Perry, during his confirmation hearing before the Senate Energy and Natural Resources Committee on Capitol Hill in Washington, Thursday, Jan. 19, 2017. Cortez Masto, speaking to reporters in Carson City after addressing a joint session of the Nevada Legislature, said Perry called her earlier this month to voice his concerns with her hold on his department’s nominees. She said she wanted his commitment in writing before she would lift her hold. “We had a very good, cordial conversation. He said he would give me that commitment, so we left that conversation with both of us agreeing to have designated staff to work on the written letter, and we’ll go from there,” Cortez Masto said March 20. 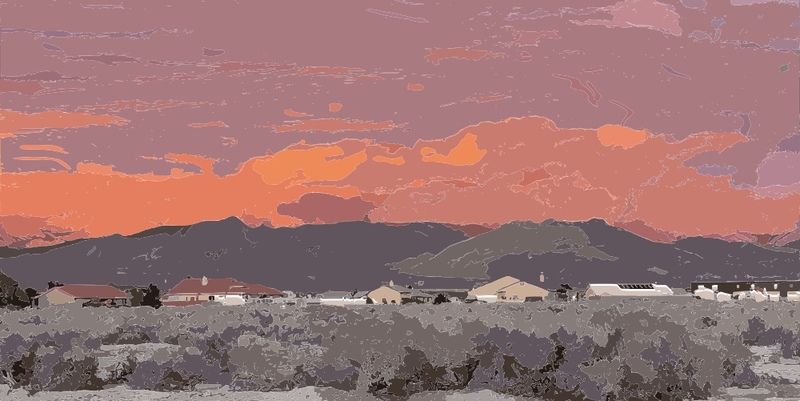 In August, the Energy Department sent a letter to Nevada officials, notifying them of plans to ship half a metric ton of weapons-grade plutonium from South Carolina to the Nevada National Security Site in Nye County. The state filed an injunction in late November asking a federal court to block the Trump administration from shipping the radioactive material. But weeks after the case was argued in federal court, the Energy Department disclosed that it already had shipped the plutonium into the state sometime before November, which drew rebukes from Gov. Steve Sisolak, Cortez Masto and Nevada’s other federal delegates. U.S. Sen. Cortez Masto, D-Nevada, was one of 10 Democrats to support Rick Perry’s nomination as energy secretary in 2017. Cortez Masto was one of 10 Democrats to support Perry’s nomination as energy secretary in 2017. Last week, she said she regrets that vote because of the way he and the Energy Department handled the plutonium shipment and Perry’s push to revive Yucca Mountain. “I think it was outrageous and unconscionable that not only would the Energy Department disregard the governor and governor’s staff, but then lie to a federal court about it,” she said. Why did our forefathers, give us a republic? The types of governments they had to consider at that time, were vulnerable to and ended in rebellion and chaos. They looked at the failures of the ability of the ruled to rule themselves. Their ultimate goal became the concept of Governoring by those that are being Governed. Chaos, being the absolute enemy of any government, how could they keep chaos in check. Balance the powers of the governing and the governed. From this, the concept of a Constitutional Republic was born. A form of government for the people and by the people. Throughout history, the attempts at pure democracy also ultimately failed in chaos — the inability to control the leadership by the governed. The separation of powers with checks and balances allowing for organized intervention when the balance of power or control becomes detrimental to the republic was what would be attempted. The branches of Government were organized to define not only responsibility but also accountability. The legislature would be the body by which laws and fine tuning of the government would take place as well as the control of the spending. To control chaos, they created a House of Representatives and a Senate. Each state would have two senators elected by the people. Each state would have an equal number of representatives to the population divided into equal districts of the population. This was done to balance the legislative branch of government, between the two types of representation — equality of the states and the separate equality of the population as a whole. Last but not least, the decisions approved by both bodies have the President as a check and balance to veto. The executive branch was created to operate the functions of governing based on the rules put in place by the legislature. It includes a President and Vice President elected by the states through a process called the electoral college. The today electoral college consists of 538 electors each having a vote. An absolute majority of 270 electoral votes is required to determine the President and Vice President, team. Electors are chosen by a method provided in each state’s constitution, and a number of electors equal to the representatives and senators combined representing the state in the legislature. A national election for the President and Vice President team is held in each state. However, the members representing the state may be chosen by other methods. It is presumed, that the votes of the electoral college members will represent the results of the state’s election but is not required; it is based upon each state’s constitution. A third, branch of the government, the Judicial, was created to be an arbiter between not only the Executive and Legislative branches, but between the government and the people as well as between the people. In our Constitutional Republic, anything not covered in the constitution is left to the states. However, the states must yield to the constitution of the republic in the constitution of the state. As the States, Counties and Cities were formed; they were encouraged to follow a similar approach for the same reasons that a republic was chosen. The Model from the republic was separately elected branches and something similar to a legislature or commission or council. Most states have an Executive Branch; A Governor and a successor, a Judicial Branch; an Attorney General and a Legislature; Assembly and Senate. At the county levels things change, the legislature is replaced by a council or commission, but in most cases, the judicial, and law enforcement are still elected by the people making them a separate branch elected by the people. The county, being the closest government to the people, has the ultimate jurisdiction and constitutional protection for the people. The sheriff has the authority to stand between the people and any of the governments any issue of natural rights protected or not by the constitution of the republic. The only way we as individuals lose Power and Control is either delegating it or allowing to be taken. The constitution protects your ability to vote in or out the folks that you are delegating the power and control to. Simple process until we allow it to be changed. So far we have described what is referred to as the Layer Cake Republic. Each layer of government has controls that define them, and each layer has power and controls that are defined by the layers above or below. Then comes what we call the Marble Cake Republic. This concept describes what we are seeing happen in the structure of government today. Starting in the legislatures, we find that they are delegating the power and controls we have given them to executive branch bureaucracies. When this happens, we as voters lose our power and control as our elected officials have delegated those powers to non-elected bureaucrats. Anytime one of our Powers and Controls gets delegated to a non-elected official we lose our power and control of our vote. Now comes the regional Boards and Commissions. An example would be a regional water board. The member cities agree to create a board/commission for the purpose of making decisions and rules about water issues. This transfers the power and control of an agency. They appoint representatives to the board from each member city/county. There go the powers and control of electing those that represent your interests on those matters. Bad court decisions applied globally are another culprit. A court decision, Reynolds v. Sims, 377 U.S. 533 (1964), forced western states like here in Nevada to change how senators are elected and allocated to the counties. The legislature in Nevada was originally set up like the federal government, with a senator allocated for each county and the assembly members elected by district based on population. Now the senators are determined by districts created based on population. This change had the effect of giving a majority of senators and assemblymen to the largest populated county in the state. My county here in NYE shares both an assemblyman and senator with five other counties districts. The Rural counties are no longer represented fairly. The Senate on Tuesday confirmed President Trump’s nominee to be a judge on the liberal 9th Circuit Court of Appeals in a party-line vote — and, in a historic snub, the White House ignored the input of the judge’s two Democratic home-state senators in the process. The aggressive and unprecedented move to bypass the traditional “blue slip” consultation process and plow ahead with the confirmation comes as the Trump administration seeks to systematically erode left-wing dominance on the key appellate court, which Trump has called “disgraceful” and politically biased. With a sprawling purview representing nine Western states, the appellate court has long been a thorn in the side of the Trump White House, with rulings against his travel ban policy and limits on funding to “sanctuary cities.” A lawsuit is currently pending before the 9th Circuit concerning Trump’s emergency declaration over border security — and Trump had sarcastically predicted that Democrats would purposefully file suit in the San Francisco-based appellate court to improve their odds. The new 9th Circuit judge, Seattle attorney Eric Miller, was confirmed 53-46. Miller was one of the 51 federal judicial nominees left over from the previous Congress whom the White House re-nominated last month. Miller, currently the appellate chairman of the high-powered law firm Perkins Coie, will replace Judge Richard Tallman, a Bill Clinton appointee who assumed senior status March 2018. Miller is the fifth former clerk to Associate Justice Clarence Thomas to be nominated by Trump to a federal appellate court, including embattled D.C. Circuit Court of Appeals nominee Neomi Rao. Miller represented the government before the Supreme Court when he served from 2007 to 2012 as an Assistant to the Solicitor General of the United States. He was also Deputy General Counsel of the Federal Communications Commission. Among those objecting to Miller’s nomination were Washington State’s two Democratic senators, Maria Cantwell and Patty Murray. Aides say Miller’s confirmation marks the first time the Senate has strayed from tradition and confirmed a judicial nominee over the dissent of both home-state senators. Miller was nominated last year but faced opposition from Democrats, in part over his views on issues of tribal sovereignty. The White House has previously signaled it will also plow ahead with other 9th Circuit nominations in other states without using the “blue slip” consultation process. The Sacramento Bee reported last year that White House officials had been negotiating with California Sens. Dianne Feinstein and Kamala Harris about 9th Circuit appointments, but the dialogue collapsed, and the White House proceeded to announce three nominees over their objections. Those nominees — Patrick Bumatay, Daniel Collins and Kenneth Kiyul Lee (all from the Golden State, and reportedly all members of the conservative Federalist Society) — have yet to be confirmed. GOP critics have branded the court the “Nutty 9th,” in part because many of its rulings have been overturned by the Supreme Court. How would a conservative shift in in federal courts help push Trump’s agenda? Constitutional law attorney Jenna Ellis weighs in. Last November, Chief Justice John Roberts openly disputed Trump’s comments that the nation has “Obama judges” and partisan hacks on the courts. The move marked a highly unusual challenge to the White House from a sitting Supreme Court justice, and prompted some observers to accuse Roberts of naivete. “What we have is an extraordinary group of dedicated judges doing their level best to do equal right to those appearing before them,” Roberts said in the head-turning statement. But Trump, invoking the 9th Circuit, fired back immediately. Fox News’ Bill Mears and Adam Shaw and The Associated Press contributed to this report. The SPLC, which also reportedly works with Amazon, Google, Facebook, and Twitter, was forced to pay a $3.3 million settlements to anti-extremists activist Maajid Nawaz last year, after the organization included him on a list of “anti-Muslim extremists,” despite Nawaz being Muslim himself. Speaking from a personal viewpoint, I have to say I wish this weren’t true. PayPal has been a convenient way to send money and receive money to family members on occasion, as well as a conduit to make online purchases. Because of how I use it, I’ve never been charged a fee for their services, but one thing is for certain – I am now actively looking for a different way to pay, especially for online items.